GSConnect v13 alpha was released yesterday with major changes. 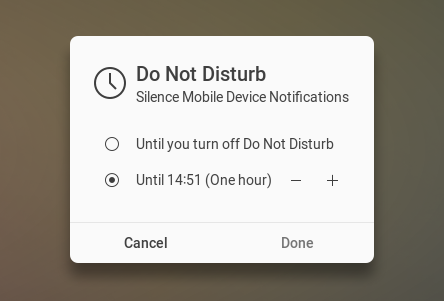 The v13 alpha release is a rewrite with changes to the architecture, settings and default behavior, and it includes new features like Do Not Disturb, experimental Bluetooth and SMS/Contacts sync, and more. 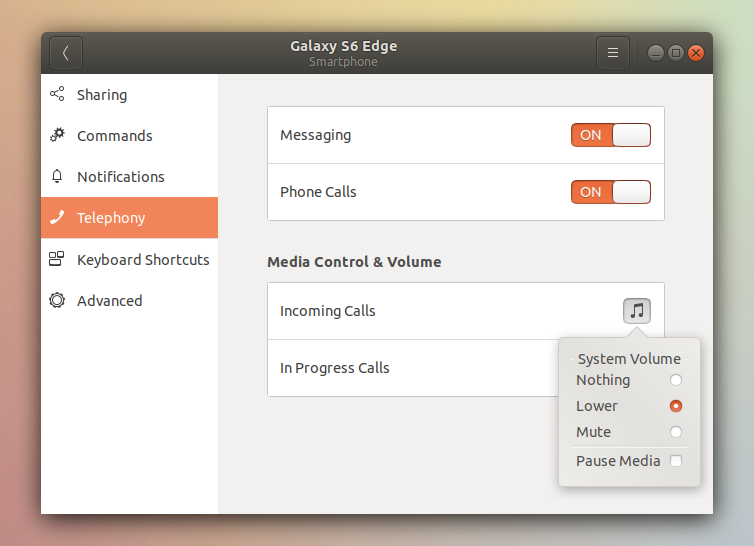 GSConnect is a Gnome Shell implementation of KDE Connect, which integrates Android devices with the Gnome desktop. Using it you can mirror notifications from your phone to your desktop (and the other way around), control a desktop music player from your phone, browse your phone wirelessly from your desktop, synchronize the clipboard between Android devices and your desktop, and much more. GSConnect works with devices connected to the same local network, but with this release, there's experimental Bluetooth support. GSConnect v13 also includes experimental SMS / Contacts sync. Since these features have not yet landed in the stable release of KDE Connect Android app, you'll need to build KDE Connect for Android from Git to try these features and even so, it may not work properly since this is all work in progress. The roadmap for the final v13 release include improvements like better HiDPI support, refactor Telephony wrt upcoming SMS Plugin, and fixes for SMS URI handling and Contacts/SMS UI. You can read more about GSConnect v13 here. GSConnect v13 alpha should only be used for testing purposes! It's very likely you'll find bugs or it may not work at all. For most users it's recommended to wait for the final GSConnect v13 release. You'll need to be running Gnome Shell 3.28 or newer to use GSConnect v13 alpha (for example Ubuntu 18.04 or 18.10)! Previous GSConnect versions should be completely removed (including the cache and settings) before trying out the new version. Also, I recommend using the latest Git and not the v13 alpha release because there are some bug fixes in Git. For instance, the v13 alpha release doesn't work on my desktop because my computer doesn't have Bluetooth - this was fixed in Git. You can remove the build directory after the extension is successfully installed. You may want to keep the gnome-shell-extension-gsconnect directory in case you want to update it (you can run git pull in the directory to grab the latest changes), or you can remove that as well if you plan to start from scratch when you want to update it. Now restart Gnome Shell (Xorg users can restart the session by using Alt + F2, entering r, then pressing the Enter key, while Wayland users need to logout and log back in), launch Gnome Tweaks and enable the GSConnect extension. You'll also need the KDE Connect Android application which is available on Google Play or F-Droid. Pair KDE Connect from your phone with GSConnect and you're done.